With a close-up view of an exhibit in the Royal BC Museum, microscopic organisms under the soil are made large. These are the first reports for the eight new contracts for 2017-2020 and for the continuation in 2017 of the first round of projects, which received additional funding. The results are encouraging and, in some cases, fascinating. By demonstrating positive outcomes, these results will promote better soil practices in our state. A new project to measure and compare moisture retention in cover crop fallow and direct seed fallow. Continuation of biochar project begun in 2016. Following up on the original six-farm test plots, in which biochar was added to soil, the yield will be evaluated in the spring of 2018. In addition to the test plots, biochar kilns were designed and provided to forest landowners on each of the four ferry-served islands. Workshops were offered on each island to demonstrate how to make biochar from forest waste. Online instructions are available for making biochar at home. Biochar was added as an alternative to the slash burns in the County’s draft Solid Waste Management Plan. 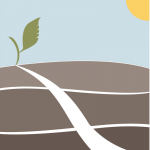 The San Juan CD also starts a new three-year project to introduce no till-direct seed practices to the county, including use of cover crops to improve soil health and limit use of chemicals. Results so far show no significant difference in moisture. We are waiting to hear if there is any difference in productivity (yield). We have questions about the 2017 workshop: how may attended, who were the presenters, and what did they present? Continuation of Nisqually Community Forest project which aims to create a template for sustainable forest practices in Pacific Northwest forests. 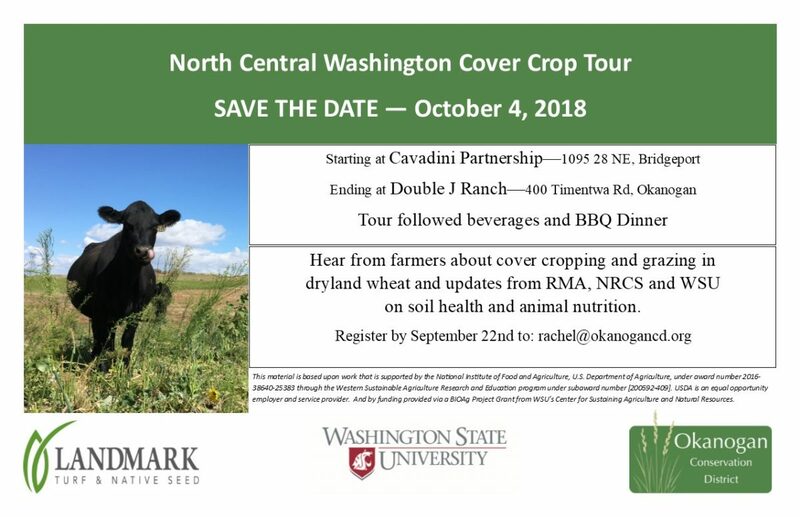 Experiments with various cover crops in the Palouse to identify those best for fall and for spring and to determine whether pelletized compost adds extra yield or other ecological benefits. This will be evaluated in the spring of 2018. Soil Health Field Day in Davenport at the experimental farm. Well attended with dozens of farmers and conservationists. Highlighted soil differences between no-till and conventional test plots. First year of three-year study of soil characteristics in irrigated agriculture in Eastern Washington. 60 soil samples were studied from 30 growers to establish a baseline. Some of the results were surprising, for example, that the amount of soil fines was inexplicably low in many sites. This study includes a process of evaluating which soil health measurements are of value, and which are not.